Does your business have a social mission? From Andrew Delmonte, Social Enterprise Coordinator at the Small Business Development Center at SUNY Buffalo State. The SBDC’s Social Enterprise Services include free one-to-one counseling in the following areas: social business planning, Benefit Corporation filing, social impact measurement and reporting, and financing your social enterprise. For more information contact Andrew at (716) 878-4030. Is your business venture motivated by more than profits? Do you want to start a “triple bottom line” business, to pursue both social impact and financial self-sufficiency? If so, Benefit Corporation legal status might be right for you. A Benefit Corporation is a hybrid legal entity that blends elements of nonprofit and for-profit corporations. It is taxed like a traditional corporation. It protects directors from liability for pursuing a social objective instead of simply profit. Benefit Corporations measure both financial and social bottom lines, and report their social and environmental impacts in an annual Benefit Report. SUPPORTS ACCOMPLISHMENT OF SOCIAL MISSION Allows directors and officers to consider social mission in making decisions. Also ties future owners to the same mission. LIABILITY PROTECTION Provides liability protection for directors and officers to consider interests other than profits. ATTRACTS CUSTOMERS AND TALENT Demonstrates commitment to social mission to both customers and employees. TRANSPARENCY Publish an annual Benefit Report including a third party assessment of social and environmental impacts. We provide assistance for entrepreneurs seeking to directly address social and environmental problems through their business. SBDC’s Social Enterprise Services include free one-to-one counseling in the following areas: social business planning, Benefit Corporation filing, social impact measurement and reporting, and financing your social enterprise. When I first took over leadership of TED in late 2001, I was reeling from the near collapse of the company I had spent fifteen years building, and I was terrified of another huge public failure. I had been struggling to persuade the TED community to back my vision for TED, and I feared that it might just fizzle out. 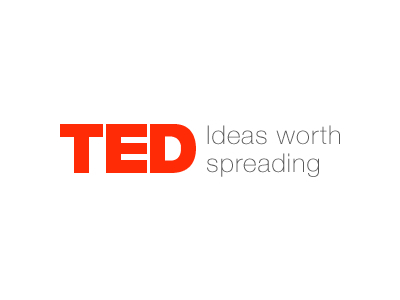 Back then, TED was an annual conference in California, owned and hosted by a charismatic architect named Richard Saul Wurman, whose larger-than-life presence infused every aspect of the conference. About 800 people attended every year, and most of them seemed resigned to the fact that TED probably couldn’t survive once Wurman departed. 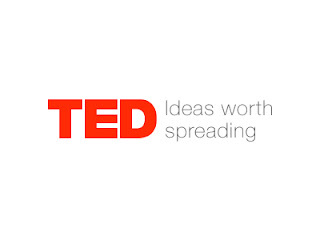 The TED conference of February 2002 was the last one to be held under his leadership, and I had one chance and one chance only to persuade TED attendees that the conference would continue just fine. I had never run a conference before, however, and despite my best efforts over several months at marketing the following year’s event, only 70 people had signed up for it. Early on the last morning of that conference, I had 15 minutes to make my case. And here’s what you need to know about me: I am not naturally a great speaker. I say um and you know far too often. I will stop halfway through a sentence, trying to find the right word to continue. I can sound overly earnest, soft-spoken, conceptual. Every year, the grass on the other side of the fence looks greener to many entrepreneurs, and a change of place looks like the most promising path to growth. So they pull up stakes and move to a new place, where they hope to find better odds for business success than they had in their previous location. They're in good company. The U.S. Census Bureau reports that approximately 40 million Americans relocate each year, and the U.S. Postal Service processes about 38 million change-of-address forms annually. Although no one keeps a similar count of business moves, given the multitude of valid business reasons for making a move, almost any entrepreneur will, at some time, consider relocating as a way to expand. Unless Michael Scott is your management hero, you probably care more about getting results than getting your reports to like you. That's as it should be: it's too much to ask people to do what you tell them to do and validate you at the same time. But that doesn't mean that you should be indifferent to how your team feels. To be most effective, you need to build the kind of relationship where your people have trust in both your judgment and your discretion. Building respect should be one of your top priorities. "People naturally want to do their best for those they feel respected by," writes Victor Lipman at Forbes. "There's nothing complicated about it: Employees respond well to being treated well. It puts them in a favorable productive mindset. As the old military saying goes, Take care of your people and they'll take care of you." Further, Lipman says, "people resent not being respected, and a resentful attitude is never conducive to productivity." So how do you show respect for the people on your team? Small Business Success Story -Faery's Golf and Landscape, Inc.
Each year the New York Small Business Development Center recognizes outstanding small businesses in a variety of ways. This Success Story from the Niagara SBDC appears in our 2015 Annual Report. Faery's Golf and Landscape, Inc. In the fall of 2014 Tony Grenzy decided to purchase Faery's Golf & Landscape, a business that had employed him for the last ten years. He worked with the Niagara SBDC to help make the purchase possible, and Advisor Dinene Zaleski help Tony develop a funding package. This included hours spent developing the narrative, exploring market opportunities, and analyzing the financial feasibility of the project. The comprehensive loan package included multiple funding partners. 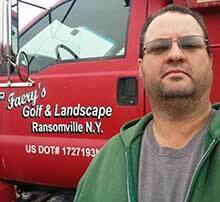 Tony has grown Faery's Golf & Landscape into a full service golf course renovation contractor. Today's article offers tips on debugging content marketing software of a different sort. 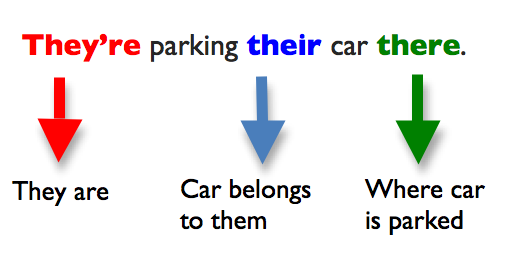 Namely, the words, phrases, and sentences that constitute your marketing content. Just like buggy computer software, buggy content software can be costly to your business. Because buggy content software can reduce the amount of time people spend with your marketing content, thereby lowering its productivity and effectiveness. So before you publish the latest version of your content marketing software, make your best effort to remove all bugs. To that end, here are two sets of content debugging tips that will help you exterminate a good many of these meddlesome maligners—in this case, 12 often misused words and phrases. There are different kinds of leadership styles, including the servant-leader style that focuses on the growth and well-being of people and communities. Scammers are using fake caller ID information to trick you into thinking they are someone local, someone you trust – like a government agency or police department, or a company you do business with – like your bank or cable provider. 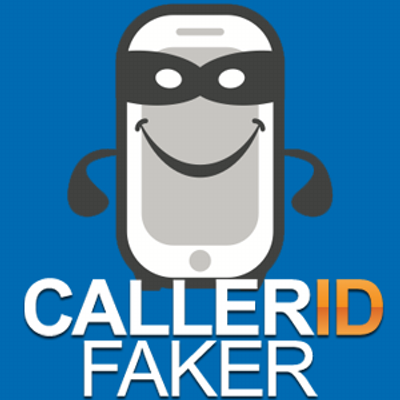 The practice is called caller ID spoofing, and scammers don’t care whose phone number they use. One scammer recently used the phone number of an FTC employee. If you get a strange call from the government, hang up. 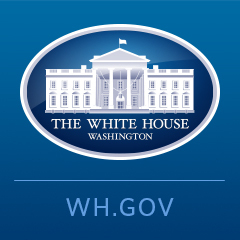 If you want to check it out, visit the official (.gov) website for contact information. Government employees won’t call out of the blue to demand money or account information. Don’t give out — or confirm — your personal or financial information to someone who calls. Don’t wire money or send money using a reloadable card. In fact, never pay someone who calls out of the blue, even if the name or number on the caller ID looks legit. Feeling pressured to act immediately? Hang up. That’s a sure sign of a scam. Want more tips for avoiding scams? Check out 10 Ways to Avoid Fraud. If you’ve received a call from a scammer, with or without fake caller ID information, report it to the FTC and the FCC. ZIP Code Business Patterns provides data on the number of business establishments by employment-size class for detailed industries. Statistics are provided for about 40,000 five-digit ZIP codes, including nine new ones nationwide and include the total number of establishments, employment and payroll. In addition, the number of establishments for nine employment-size categories is provided by detailed industry for each ZIP code. Here are the 2014 data from the US Census Bureau. IEN's exclusive report, "The State of Manufacturing & Digital Commerce," is now live. • How manufacturing companies fail at online sales. • How real-time pricing can help close the deal. • How to identify online competition. • How tech investment can improve sales. • How dynamic content enhances website performance. • How to make sure you're not leaving money on the table. Many consumers and small businesses use wireless (Wi-Fi) networks to enable their laptops and other wireless devices to access the Internet. Wi-Fi networks generally include a wireless “router” connected to a broadband Internet service via a modem that is attached to the cable or telephone network. Sometimes the wireless router and the modem are integrated into one device. While Wi-Fi networks provide many benefits, an unprotected network can result in unauthorized use and potential harm unless certain steps are taken. In some cases, unauthorized users may be able to access your private information, view the content of transmissions, download unlawful content using your network or infect computers with viruses or spyware. 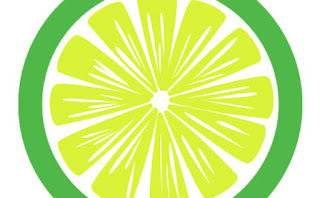 Unauthorized users may also cause harm beyond your computer or network, such as sending spam, spyware or viruses to others, and the activity can be traced back to your network. The following tips can help secure a Wi-Fi network against unauthorized access. Consult the owner’s manual that came with your wireless router for specific instructions on performing the following steps. Manuals are often available on the manufacturer’s website. At the bottom of this page you will find links to product manuals from some of the most popular manufacturers, and links to how-to videos produced by the Federal Trade Commission. Each year the New York Small Business Development Center recognizes outstanding small businesses in a variety of ways. This Success Story from the Jamestown SBDC appears in our 2015 Annual Report. Jamestown Mattress, a manufacturer of quality handcrafted bedding, was founded in 1886. 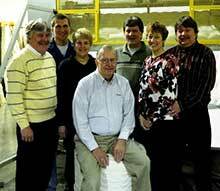 The Pullan family, the current owners, purchased the business in 1982. Three generations of the Pullan family work for the business, which employs a staff of 35. Jamestown Mattress has an extremely strong and growing wholesale and private label business with nine factory direct retail showrooms across Western New York and Northern Pennsylvania. Customers include institutions, colleges, hotels, other bedding retailers and several internet companies. Jamestown Mattress has been a client of the SBDC since 2012 working with Advisor Curt Anderson. The primary goal was to establish a new website and then to institute a strong Internet marketing initiative to attract new customers. Every week, millions of Americans work more than 40 hours but do not receive the overtime pay they have earned. President Obama is taking action to fix that: In a note to signers of a We the People petition, the President announced that tomorrow the Department of Labor will finalize a rule to extend overtime protections to 4.2 million more Americans. Check out the President's note. If you work more than 40 hours a week, you should get paid for it or get extra time off to spend with your family and loved ones. It's one of most important steps we're taking to help grow middle-class wages and put $12 billion more dollars in the pockets of hardworking Americans over the next 10 years. For generations, overtime protections have meant that an honest day's work should get a fair day's pay, and that's helped American workers climb the ladder of success. That's what middle-class economics are all about. But after years of inflation and lobbyists' efforts to weaken overtime protections, that security has eroded for too many families. Contracting Corner: Are You Ready for Government Contracting? If you’re like most small business owners, you’re drawn to the idea of government contracting, but don’t necessarily know where to start. Perhaps you’ve heard talk of small business set asides or minority-, women-, and service-disabled veteran-owned business utilization requirements, which can make it sound as if winning government contracts is a given for companies owned by individuals who are eligible for certification. Don’t be fooled. While there can be some benefit to being a small business, particularly one owned by members of certain historically under-represented groups, government contracting is not an easy row to hoe. The following questions cover some cornerstones you’ll want to make sure form a solid part of your foundation before you start building your business in this competitive arena. Government entities are risk averse. They want to know that your company is viable, responsible, and capable before awarding you any publicly funded work. We’ll discuss the capability part shortly, but to start with the basics, this means your company should be licensed to do business in the state where the government entity you’re soliciting resides. Your staff will need to have any necessary licenses or certifications to perform the work you’re proposing to do. You should have all proper insurances in place, including liability, workers’ compensation, and automobile. If required in your field of practice, you may need to acquire surety bonding, so would need to have that relationship already established. You’ll also need to have the infrastructure in place, such as a good computer system, the proper software to handle any documents or reporting that might be asked of you, and a high-speed internet connection. You will be expected to meet cyber security requirements as well – an increasingly important concern – so will want to make sure you have the proper resources available to comply. You will also want to make sure you have a professional-looking web site, as this is the first place government buyers will look for information about your company, products, and services – and to gauge your legitimacy and capacity. Are you capable of doing the work? There is typically a section in any request for proposal (RFP) that asks for your company’s capabilities and past performance. Sometimes this can be based on individual team member resumes; other times the company itself must have performed comparable work for entities (not necessarily government) of similar size and scope. You will typically be asked to provide project descriptions and details along with contact information for a reference at the agency or organization where you performed the work. The better your track record of delivering effective, on-time, under-budget results, the stronger your position when it comes to winning government contracts. Can you afford to operate in the government market? Two factors come into play here. The first is whether you can afford the inevitable investment in business development staff, time, and resources that is required to successfully pursue government contracts. The development cycle can be long: up to two years before winning your first contract. The second factor comes into consideration after you’ve won a contract: Despite all the government’s best intentions (prompt payment acts, for example), delays in payment inevitably occur. How long can your company foot the bill for ongoing payroll and overhead expenses before your “lucrative” government contracting opportunity threatens to put you out of business? Or how about projects where you are expected to order and provide materials up front, prior to payment? Here is where a strong relationship with your bank, an established line of credit, and a working knowledge of gap funding sources becomes essential. Before moving into government contracting, you may also want to make sure you have finance staff who understand the agency’s invoicing system – or at the very least dedicate someone to learning it ASAP to help ensure proper documentation and efficiency in your billing cycle. How are you going to actually perform the work? It is an incredible feeling to win a government contract. It is also terrifying – because now you must perform. There is no room to fail once you’ve stepped into this arena – at least not if you want to stay in it. Having a well-thought-out plan of approach, a proven methodology for delivering similar services, a strong team of experienced staff, and the flexibility to problem-solve your way through the challenges that will inevitably arise can make or break your project performance. All of these factors work together to set you up for success or failure in government contracting. For assistance in thinking through these challenges as they apply to your specific business, you can reach out to your local Small Business Development Center (SBDC). The NY SBDC network has 24 regional centers throughout New York State, plus satellite offices, each staffed by advisors who specialize in government contracting and procurement, as well as general business advisors who can help you strengthen your company’s foundation to make sure you’re ready to build your government contracting business. The SBDC’s business advisement services are free and confidential, funded by taxpayer dollars to help small businesses thrive and grow. Schedule an appointment today! Whether your organization is an Applicable Large Employers (ALE) for a particular calendar year depends on the size of your workforce in the preceding calendar year. To be an ALE, you must have had an average of at least 50 full-time employees – including full-time-equivalent employees – during the preceding calendar year. So, for example, you will use information about the size of your workforce during 2016 to determine if your organization is an ALE for 2017. 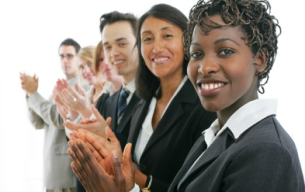 The New York Small Business Development Center (SBDC) announced its client honorees of the New York State and National Small Business Week Awards, sponsored by the U.S. Small Business Administration (SBA). 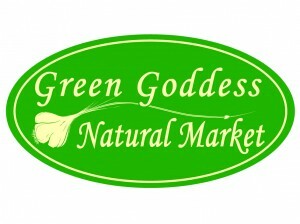 Green Goddess Natural Market, LLC, of Lake Placid, NY was named New York State Small Business Person of the Year. The business is co-owned by Tammy Loewy and Wynde Kate Reese. Green Goddess began as a vegetarian prepared food business at the local farmer’s market and quickly expanded into wholesaling, catering, and cooking and wellness classes. The business is a client of the North Country SBDC. 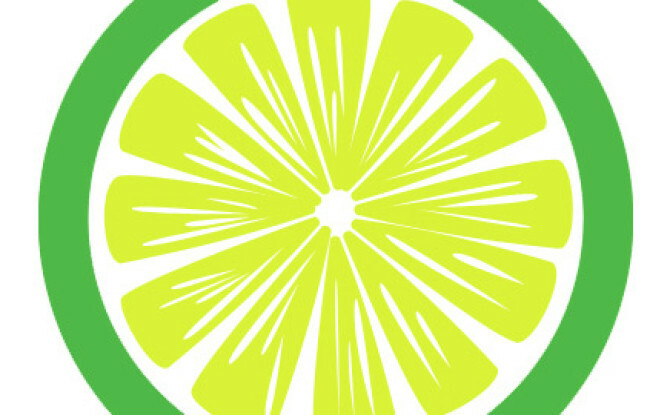 FreshySites, LLC, of Binghamton, NY was named Young Entrepreneur of the Year. Owner Ben Giordano launched the business from his home at the age of 22, and has since taken it to a full-time web design company serving 650 customers and employing 12 staff members. Giordano has been a client of the Binghamton SBDC since 2008. The Federal Trade Commission has created new guidance for businesses aimed at giving employment background screening companies information on how to comply with the Fair Credit Reporting Act (FCRA). The guidance helps companies understand when their work defines them as a consumer reporting agency under the FCRA. Consumer reporting agencies must meet a number of obligations outlined in the FCRA, including investigating consumer disputes and correcting inaccurate information. 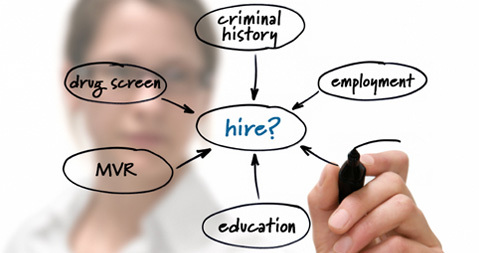 The FTC’s guidance outlines the requirements that employment background screening companies face under FCRA, including their requirements in dealing with their clients and how they interact with consumers. The guidance can be found on the FTC’s website. Each year the New York Small Business Development Center recognizes outstanding small businesses in a variety of ways. This Success Story from the Farmingdale SBDC appears in our 2015 Annual Report. 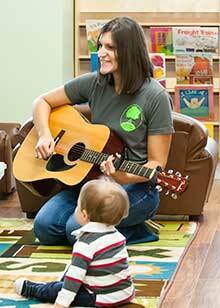 Allison Ulin, the owner of Harmony Early Learning, started her career in the child care industry by entertaining at children’s parties, writing children’s music and teaching Music Together classes. She held on to the dream of owning her own child care center that would give parents a sense of peace that their children are being cared for in a safe and fun environment. In 2012, Allison visited the Farmingdale SBDC looking for guidance with starting her business and working through permitting issues. With the help of SBDC Advisor Erica Chase-Gregory, Allison finished her business plan and developed financial projections. She secured a private loan in the amount of $550,000. Harmony, which opened in 2013, provides a place where children can learn, create, and explore the world around them. In its first year, Harmony served 5 children and offered a separate summer program for several children. Harmony Early Learning has grown to be a profitable and well-respected child care program that currently has 51 students in four fully enrolled classes including an infant room, a waiting list of 8. Allison recently refinanced the original loan and purchased the building in which Harmony is located. Her next goal is to open a second location, and she is working with the SBDC to research properties and financing options. 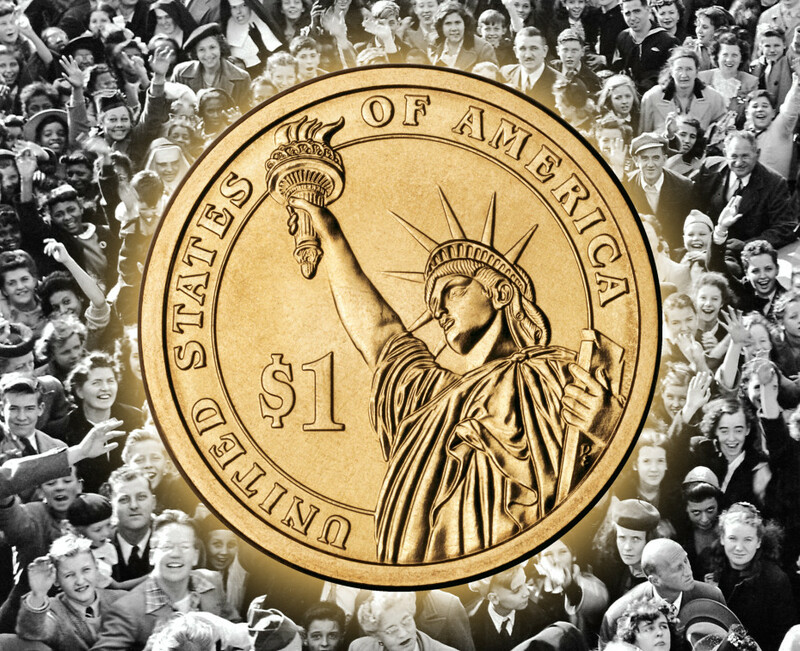 How Can Crowdfunding Help Entrepreneurs? On May 16, new SEC rules become effective allowing businesses for the first time to provide equity to investors through crowdfunding platforms. Given uncertainty in the funding market for startups, these new rules could be extremely useful to entrepreneurs. How? A new infographic published by the Office of Advocacy using previously unreleased research shows you how. Early-stage funding is critical to the survival of innovative startups. Venture capital markets are a primary source of early-stage funding, but they are moving away from financing new startups. However, crowdfunding offers startups unique fundraising opportunities to help them withstand this negative momentum. In addition to raising capital, crowdfunding can establish an audience for a product or service; both things strengthen an innovative startup, making a risky investment worth a second look from VCs. 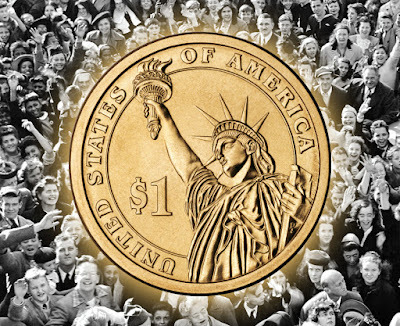 New Advocacy Report: The Effect of Crowdfunding Performance and Outside Capital. 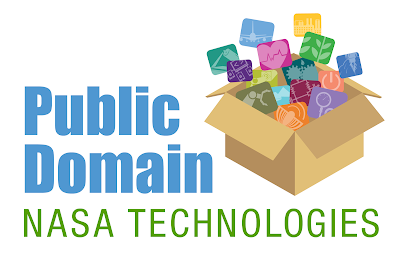 NASA has released 56 formerly-patented agency technologies into the public domain, making its government-developed technologies freely available for unrestricted commercial use. In addition to the release of these technologies, a searchable database now is available that catalogs thousands of expired NASA patents already in the public domain. These technologies were developed to advance NASA missions but may have non-aerospace applications and be used by commercial space ventures and other companies free of charge, eliminating the time, expense and paperwork often associated with licensing intellectual property. The technologies include advanced manufacturing processes, sensors, propulsion methods, rocket nozzles, thrusters, aircraft wing designs and improved rocket safety and performance concepts. Albany – The New York Small Business Development Center (SBDC) today announced that one of its clients, Majestic Vending and Services, Inc. of Staten Island, is the winner of the National Phoenix Award for Small Business Disaster Recovery by the U.S. Small Business Administration (SBA). The Phoenix Award for Small Business Disaster Recovery is given to the business owner whose efforts and contributions have enabled their business to recover successfully and thrive following a disaster. Businesses that suffered a physical disaster loss and received an SBA disaster loan during fiscal years 2014 or 2015 were eligible for nomination. During this period, there were 163 federally-declared disasters throughout the nation. Majestic Vending and Services is co-owned by Maryann and Stephen Piazza. From its beginnings as a simple gumball machine at a construction site, the company has grown to serve the entire NYC area with vending, coffee and bottled water delivery for offices, and safety gear. Majestic was victim to significant wind damage suffered during Hurricane Sandy. Losses surpassed $75,000 in damages. The Piazzas received SBDC assistance to apply for an SBA Disaster Loan, which they received for expenses not covered by insurance and grants. Despite the hardships experienced by Majestic, the Piazzas have been able to continue their business and even expand and diversify. In 2014, Majestic was chosen by the NY/NJ Super Bowl Host Committee Business Connect as an Official Participant to prepare and distribute several products and services for the Super Bowl. Data by legal form of organization, NAICS sector and enterprise employment size. Statistics include number of firms, number of establishments, employment and annual payroll. In the digital age, music is omnipresent and access is immediate. Hotel operators, eager to improve the guest experience and elevate their brands, are assessing and enhancing the presentation of music at their properties. 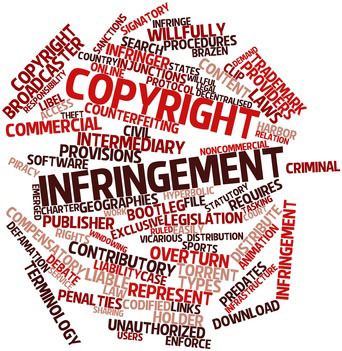 But along with the rise of online streaming, satellite radio and curated playlists comes the risk of copyright infringement. The hospitality industry is an easy target for such claims. A hospitality establishment generally must have a license to legally play music to the public, regardless of the method of play, which may include hosting a live band in an on-site club or bar, streaming a playlist from an internet music service, or even playing music that you purchased and stored on your own iPod. This license requirement is both administered and enforced by performing rights organizations. There are three such organizations in the United States: Broadcast Music; The American Society of Composers, Authors and Publishers; and The Society of European Stage Authors and Composers. The PROs act as licensing intermediaries for songwriters; in exchange for a fee, they issue blanket licenses that grant licensees permission to use the entire catalogue of music that each PRO represents. On the enforcement side, BMI and ASCAP are the two largest PROs, and these two alone file approximately 400 to 500 lawsuits every year for violations of the Copyright Act by hotels, restaurants, bars and other venues open to the public. Each year the New York Small Business Development Center recognizes outstanding small businesses in a variety of ways. This Success Story from the Mohawk-valley SBDC appears in our 2015 Annual Report. As a Cambodian immigrant who escaped the Khmer Rouge in Cambodia in the 1970’s, Borin Keith immigrated to North America, where he learned the powder coating industry. 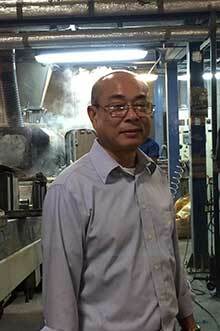 He worked his way into key management and acquiring 20-years of experience prior to forming Nortek Powder Coating. Borin established his company in 2005 with business plan assistance from Advisor Eugene Yelle at the Mohawk Valley SBDC. Nortek manufactures a wide range of high-quality powder coatings that are sold to industrial and commercial powder coaters throughout the U.S. and Canada. Sales have steadily grown each year since the company's inception. Nortek's manufacturing process and facility are designed to readily accommodate both large and small production runs, with a capacity of over 10 million pounds annually. In addition to manufacturing and business operations, the facility includes in-house R&D, testing, quality control and technical support. The company's 45,000 sq. ft. facility in in an Empire Zone Rome was originally leased from Mohawk Valley EDGE. In 2014, the company purchased the facility from MVEDGE in anticipation of projected production and storage needs with loans from NBT Bank and NYBDC totaling just over $1 million. Today, the company is a significant player in the powder coating industry, offering over 200 standard colors. Nortek sells direct and through regional sales representatives, as well as online through its Website and Web store. The company has sustained an average annual growth rate of 15% per year since its inception. Borin’s accomplishments are an excellent example of individual self-achievement, and he exemplifies the essence of American entrepreneurship. The federal government contracts out millions of dollars in goods and services every year, with a percentage of these contracts set aside just for small businesses to bid on. The General Services Administration's Forecast of Contracting Opportunities Tool enables would-be government contractors to view potential upcoming federal contract opportunities at GSA and several other federal agencies. Search this national database by agency, location, industry code and more. The latest issue of Philanthropy News Digest RFP Bulletin is now available. The latest issue of PND Connections is now available. Where should you locate your business? Wondering where to set up your new business, based on the amount of competition and consumer spending in that area, or other factors? The U.S. Census Bureau's Business Builder: Small Business Edition gives small business owners access to key demographic and economic data that can help when deciding on the location for a new business or expanding an existing one. Check out this blog for more on how it works.